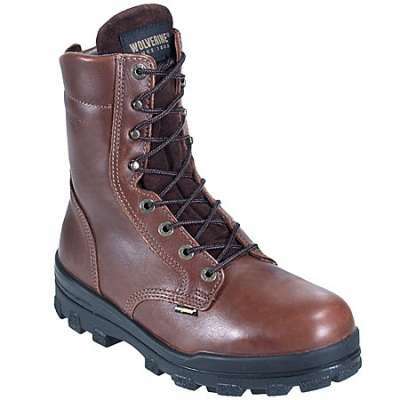 The 6″ uppers of these Wolverine 10314 boots are made from high-quality waterproof leather. 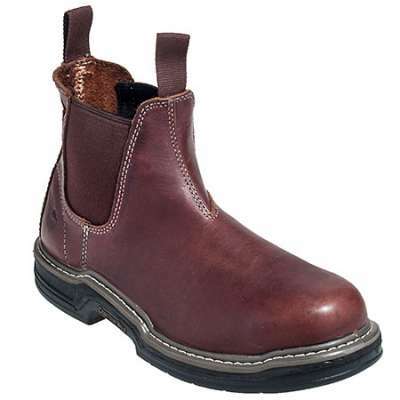 This long-lasting leather combined with the PC Dry waterproof membrane lock out water and moisture to keep your feet dry. Inside, wave mesh lining acts a foot cooling system to draw sweat away from your feet keeping them cool and comfortable. The direct-attach construction fuses the upper to the sole for a watertight seal. 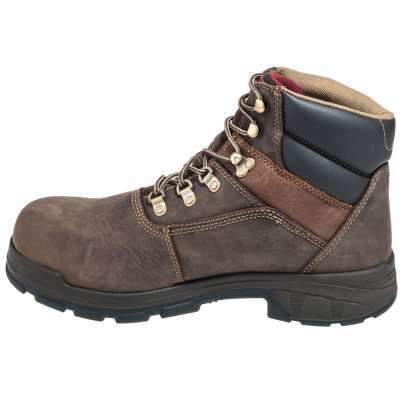 This durable construction also allows for these boots to be lightweight and flexible. The dual-density EPX footbed – made for extreme comfort. It starts with a high-density base layer that distributes your weight evenly over the platform. The honeycomb heel expands to absorb impact, while the spine on the forefoot is designed to conserve and return energy to reduce foot fatigue. 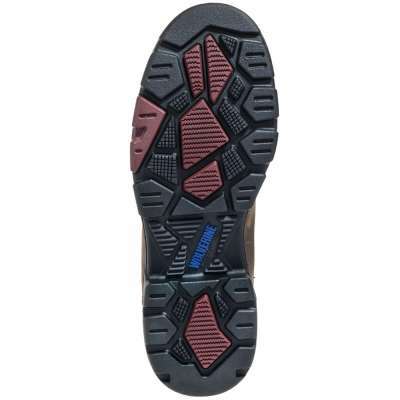 The low-density EVA foam EPX footbed is both lightweight and flexible. 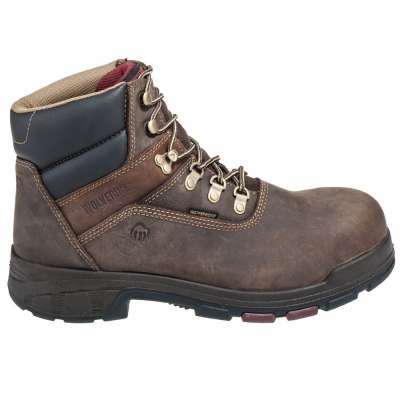 But the comfort in these Wolverine boots doesn’t end with the EPX. 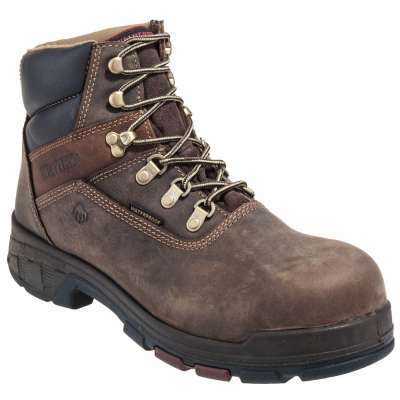 A durable polyurethane midsole adds additional cushion, and a nylon shank offers superior arch support. 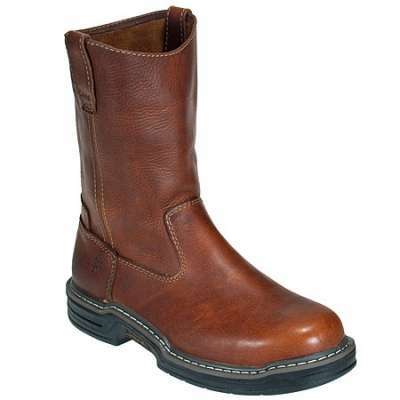 Protecting toes from falling objects or accidental compaction is the composite toe cap in these slip-resistant boots. 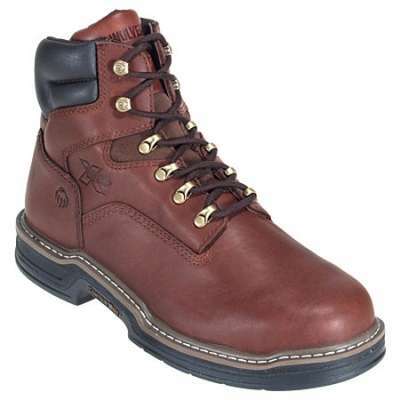 This toe cap is lighter weight than a steel toe while offering the same great protection. 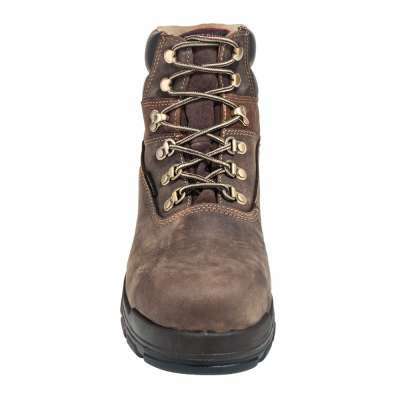 The soles and heels protect you against accidental contact with live electrical circuits. The safety features combine to meet or exceed standards for ASTM F2413-11 M I/75, C/75 and EH.